The 2013 film "Her" put a bizarre spin on the romantic comedy genre by injecting it with a major dose of science fiction. In the film, Joaquin Phoenix portrays Theodore Twombly, an introverted and depressed writer in the midst of a divorce. He purchases a smartphone featuring a talking operating system with sophisticated artificial intelligence that is able to evolve. After selecting a female operating system that goes by the name Samantha, Twombly's initial fascination with his new operating system rapidly morphs into his increasing dependence on interactions with her. The relationship between Twombly and Samantha becomes more and more intimate until the two realize they are in love with one another. While Twombly is at first bothered by this discovery, a college friend who has become best friends with her own phone's artificial intelligence persona ultimately convinces him to embrace his happiness. Whether you've seen the film or not, we probably don't have to tell you that the relationship between Twombly and Samantha does not have the traditional happy ending people have come to expect from romantic comedies. For our part, however, we couldn't help but think about banks' own embracement of technology, specifically the changes technology is creating in the ways customers use and interact with ATMs. Despite all the advancements in online banking and the creation of a myriad of electronic payment methods, the reality is that there are still plenty of times that people want or need good old-fashioned cash. Given this reality, ATMs are unlikely to disappear anytime soon. Considering the high cost of installing and maintaining ATMs though, community banks need to be sure machines are located strategically. To get some ideas, we examine 2015 research by Credio that asked Americans to identify the main reasons they used to select their primary bank. The reasons that surfaced were: ATM and branch availability (41%), account fees (25%), online or mobile tools (16%), advice from friends and family (9%), and interest rates on savings or checking accounts (8%). 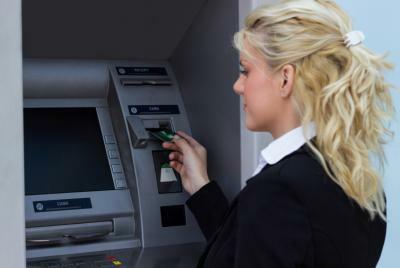 A similar survey from 2007 by Javelin Research found 42% of bank clients said ATM access was a key criterion for selecting a financial institution. So, ATMs are still important to banks. Things are not all rosy, however. Consider research by JD Power that finds: overall customer satisfaction improved in 2015 vs. 2014, but satisfaction with mobile and ATM features declined slightly. That could be because ATM customer usage has declined to 65% vs. 70% in 2014 (use of cash has declined), or it could be due to the fact that despite having more ATM features in 2015 vs. 2014, they are less satisfied with the range of services the ATM can perform and with ease of use. The more your smartphone can do, the more you expect from ATMs perhaps. Of course, while there are still many reasons people want and need cash, people also like the advancements in the technologies used by ATMs--from the ability to deposit checks without having to fill out deposit slips, to the emergence of video tellers. On the video teller front, users have the ability to interact with a live person through a screen. Major banks like Bank of America are rolling out ATMs equipped with video tellers because they offer a relatively inexpensive way of providing consumers with round-the-clock access to live tellers and a way to conveniently handle more complex or off-hour transactions. Video tellers are an attractive way for banks to provide customers with access to people in a fairly inexpensive way. Let's just hope customers don't fall in love with their video tellers the way Theodore Twombly did. Yields were up 2bp as demand for US Treasuries weakened amid anticipation of new corporate-debt offerings. An IBM survey of technology professionals finds only 11% of enterprises explicitly restrict employee use of personal devices to access enterprise data. Deloitte research finds about 75% of banking employees are making use of social media, but only 20% of banks have deployed technical controls to block or limit organizational usage. A Ponemon Institute report analyzing the activity of hackers finds: hackers spend about $1,367 per year buying hacking tools to help them get in and 64% say the tools are highly effective. The latest Randstad US Employee Confidence Index finds 55% of employees are confident in their ability to find a new job and 34% believe more jobs are available now. A CareerBuilder survey finds: 21% of workers plan to leave their jobs in 2016; 30% of those age 18 to 34 say they expect to have a new job in 2016; and 34% of employees regularly search for job opportunities. The same survey found factors people said were more important than salary when considering a new job were job stability (65%), affordable benefits (59%), a good work location (56%) and having a good boss (51%). A Bank of America Merrill Lynch CFO survey finds the most common risk management programs currently in place at their companies are: data security (91%), disaster coverage / protection (84%), other types of fraud (77%), operational risk (71%) and succession planning (68%). A Credit Karma survey finds 68% of Americans make at least 1 major financial mistake before turning age 30 and are hit with a negative mark on their credit report as a result. The survey found typical mistakes include overspending on credit cards, missing payments, defaulting on a loan or having an account sent to collections. A survey by deVere Group finds saving money for retirement is the #1 goal this year for 41% of millionaires surveyed. Coming in next are reviewing portfolios more often (27%) and building up funds to leave to beneficiaries (23%).